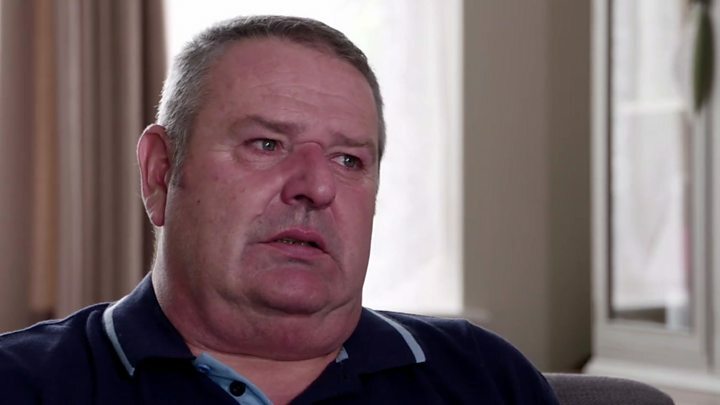 Up to 170,000 people who have had hernia mesh implants in England in the past six years could face complications, the BBC's Victoria Derbyshire programme has found. And leading surgeons believe the complication rate is 12-30% - which means between 68,000 and 170,000 patients could have been adversely affected in the past six years. "I was hunched over and walking as though I was elderly and I couldn't stand up straight and it hurt all the time," she said. "I had a cane because I just felt really unsteady on my feet." "Sometimes, I just want to scream. It's maddening," she said. "[Before the mesh implant] I was so active - running around commuting, kayaking, and now I can't pick up a sock from the floor." Labour MP Owen Smith, who chairs the All Party Parliamentary Group on Surgical Mesh Implants, said he feared the UK could "potentially have another scandal on our hands". "It reflects the flawed system we have in place," he said. "Neither the regulators or the manufacturers have to follow up on problems. "Companies ultimately have to take some responsibility for this. "It's not good for them to give this to the NHS and then they walk away with the NHS carrying any liability." The MHRA told the BBC it had "not had any evidence which would lead us to alter our stance on surgical mesh for hernia repairs or other surgical procedures for which they are used". "The decision to use mesh should be made between patient and clinician, recognising the benefits and risks," it added. The Royal College of Surgeons said mesh implants were the "most effective way" to deal with a hernia. Dr Ulrike Muschaweck, a leading hernia surgeon in the private sector, said she used a suture technique - instead of mesh - for most hernia operations but this method was dying out because young surgeons were rarely taught it. She said she had performed 3,000 mesh removals because of chronic pain - after which only two of the patients had not gone on to become "pain-free".